Aileen Donoghue Rigas, 64, passed away on April 4, 2018, surrounded by family at the Jack Byrne Center for Palliative Care at Dartmouth Hitchcock Medical Center. She was born in Flushing, NY on June 28, 1953, the daughter of Peter J. and Mary (Gibbons) Donoghue. Aileen attended Sacred Heart Catholic Elementary School in Bayside, NY and graduated in June 1971 from The Mary Louis Academy. 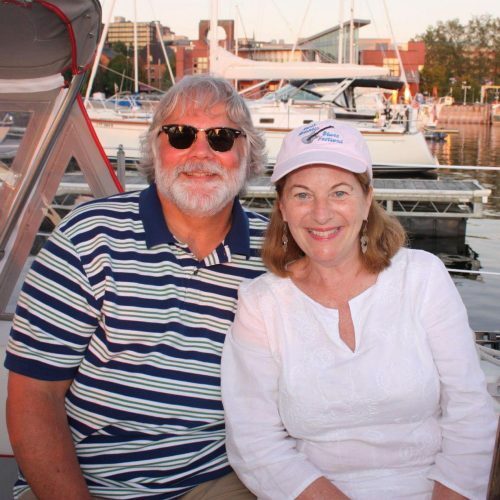 Aileen attended Nazareth College in 1971, where she met her husband and best friend James R. Rigas. Jim and Aileen were married on Dec. 29, 1973 in Bayside, NY, and together they raised four children: Jenn, Kerry, Tim and Jamie. Aileen was dedicated to inspiring and educating young children and spent her professional life working as a Montessori pre-school teacher. In 1984, Aileen received her Montessori certification from the Norwood-Fontbonne Academy in Chestnut Hill, PA, and graduated with a B.A. from Dartmouth College in 1988. Aileen began teaching in 1990 at Our Lady of Grace Montessori School in North Hills, NY. 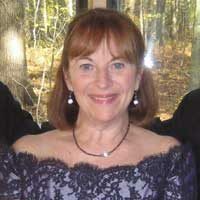 Beginning in 1996, Aileen worked at the Montessori Discovery School in Lebanon, NH, where she taught until her passing. Aileen loved to tell stories, to laugh and make others laugh, and to listen to those whom she loved. She treasured playing and listening to music, sharing movies with others, and traveling with her family and friends. Aileen was always open to trying and learning new things. She loved teaching her students about different cultures and celebrating her Irish heritage with others. Aileen took pictures and collected things to remind her of her travels and of the people she encountered. Each came with stories and memories that were more valuable to her than the possessions themselves. Above all else, Aileen loved people, especially her family and friends. Her smile, her positive spirit, and her appreciation for life will endure in the hearts and memories of all those who were privileged to know her.